I had this fantastic view in the early morning hours from Farrenkopf during my hike of the Westweg. 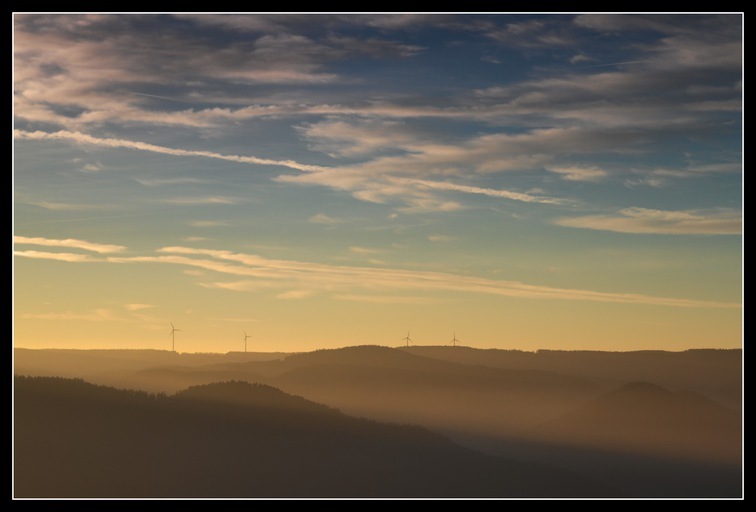 The wind turbines are in the south-east of Farrenkopf. Waking up with such a view was just amazing. A beautiful picture, nice composition. The turbines give a really nice sense of scale. Thanks mramshaw, that's right that the turbines give a sense of scale.